After security there are smoking areas. There is a smoking room located in Terminal 1, next to gate C2. This is also very close to the B section. Confirmed by Martín F. on the 31st August 2017. Photo below. 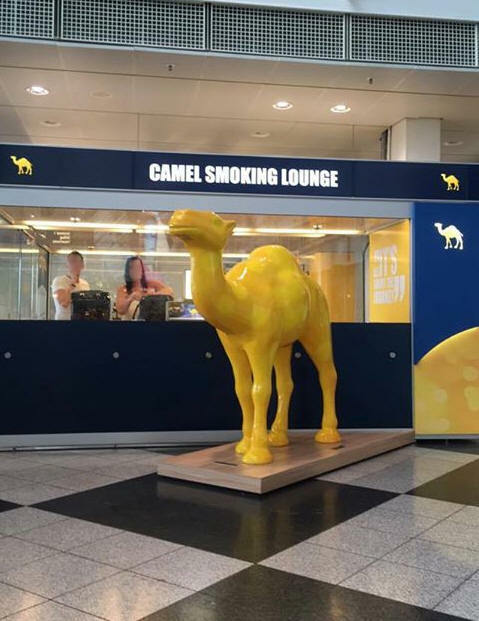 Camel smoking lounge at Munich airport (MUC) Terminal 1 Gate D01 has been confirmed by Caroline on the 4th July 2017. Photo Below. Sector A - south (close to sector B) is a designated smoker room for appr. 10-15 smokers - July 2013 - Thanx to Thomas for letting us know the details. There are also lounges at level 5. Near food court - gates H18-19. Than, near gate h15 and Gate H12-13. Thanx to Elena for this update. Winston Lounge is currently open near H gates. From Christian, April 2019. 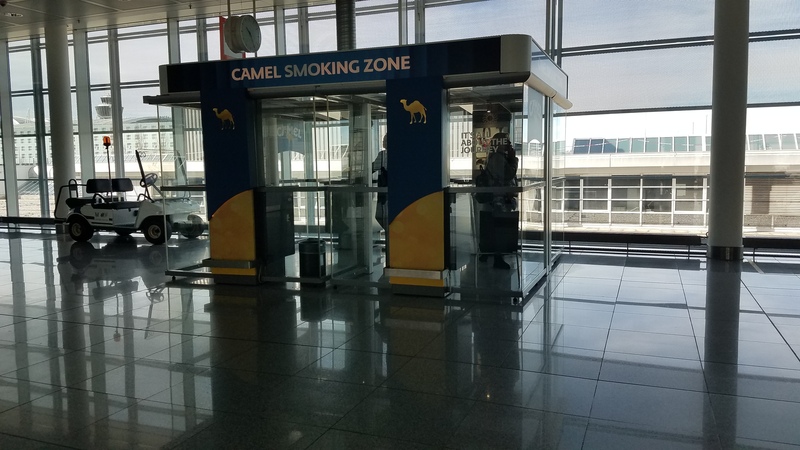 Photos of smoking areas in Terminal 2 below from Charlie on the 17th March 2019 and Charif M on the 9th April 2019. 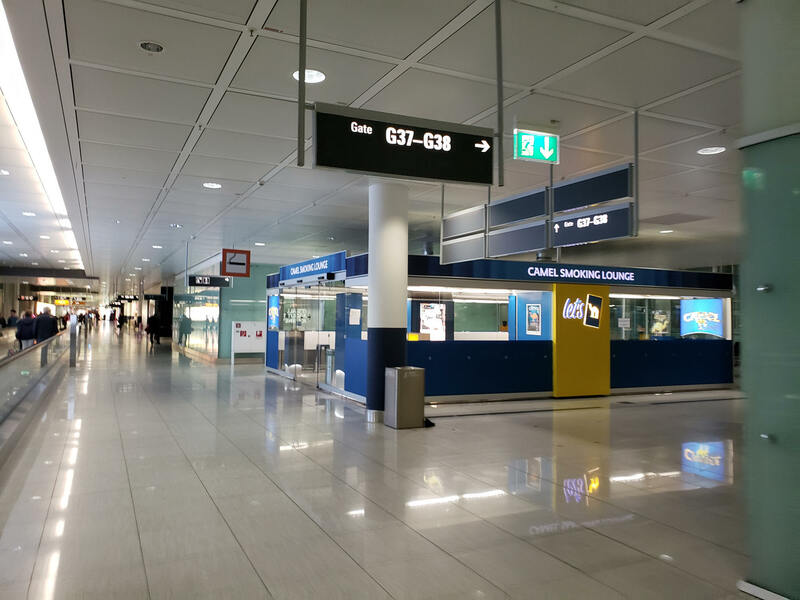 Munich MUC T2, K18, Camel lounge (inside) near Lenbachs cafe/bar confirmed. Update from Chris on the 6th June 2018. I smoked in US-flight areas in an ok lounge and also while waiting for a connecting flight. One was near L24 gate (i think), one near L13. Update from Lukasz on the 13th April 2018. T2, K18, Camel lounge. Spacious, clean and with a view of the planes. Feedback from Simon B. on the 26th March 2018. 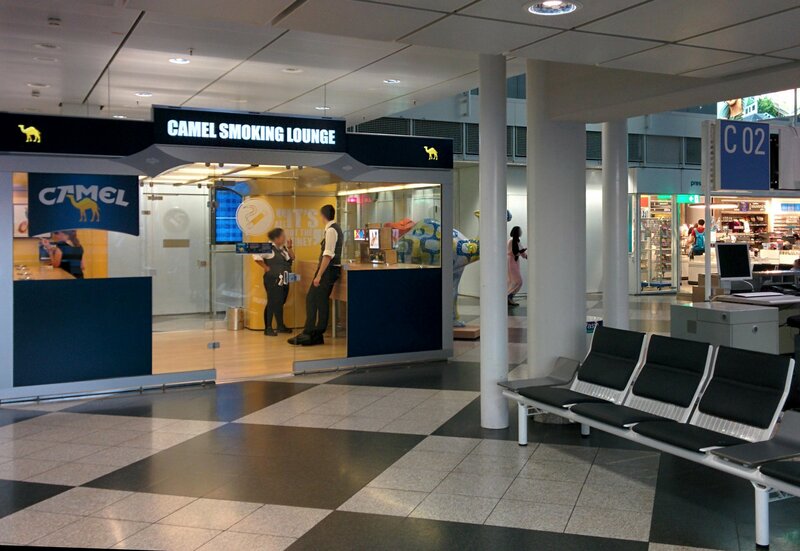 There is a smoking area at Munich airport in Terminal 2 by Gate G13. Nice, clean and well-ventilated like all smoking areas should be. Update from Michele on the 23rd March 2018. Update 02 Feb 2018 from Duncan B: Winston Lounge at H32-H33 currently closed but there is also one at H18-H19 which is open. Terminal 2 there is a Winston Smoking Lounge opposite gate L15 too. Spotless, well ventilated. Feedback from Daniel S on the 2nd October 2017. 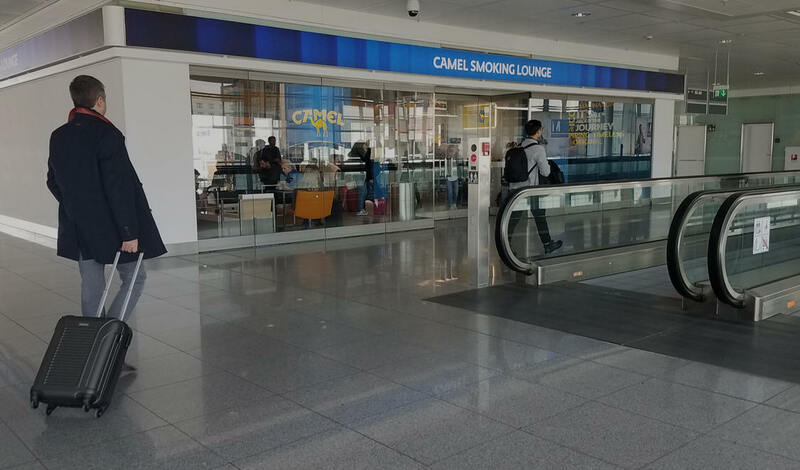 There is also a smoking lounge on terminal 2 in Munich airport called "Winston Smoking Lounge" 5th floor near gate H32-33. Update from Neil M. 17 May 2017. 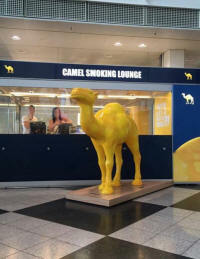 There is also a smoking lounge on level 4 of terminal 2. 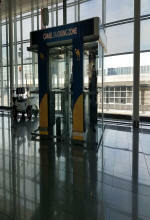 There are several lounges in terminal K. One by K23 sponsored by Camel. Very nice and clean. Feedback from Keld 19th April 2017. Other smoking areas have been reported but not confirmed due to new restrictions coming into place.